This Event Has Been Cancelled. Please Stay Tuned for More Details. 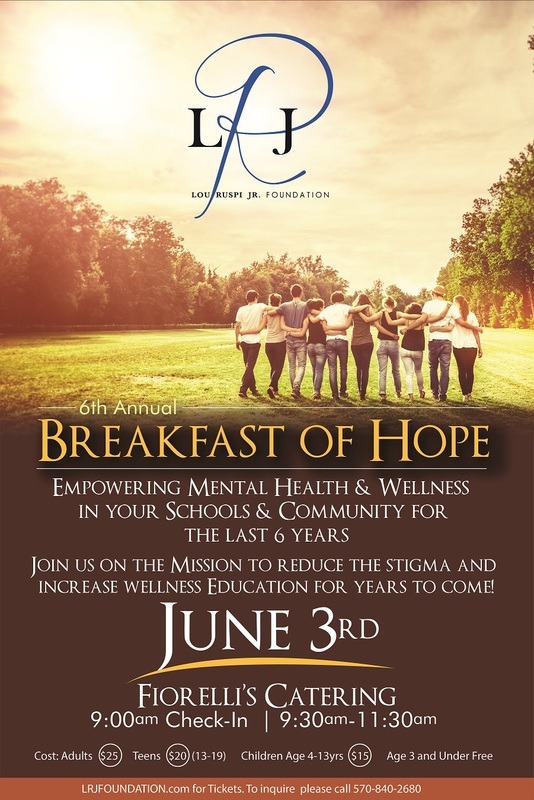 Join us for the 6th Annual Breakfast of Hope, supporting the Lou Ruspi Jr. Foundation Mental Health, Wellness & Suicide Prevention Educational Organization, on Sunday, June 3rd, 2018.